Home > Ask Our Experts > Cash Raffles - Are They Legal? In June this year I organised a fund raising golf day and dinner dance for a Girls Football Club where my daughter plays. I am now looking at next years event and one of the suggestions was a cash raffle with tickets sold in the run up to the event and the winners drawn at the dinner. I am not sure though if this is legal and if it is what do we need to put in place to obey any laws? If you're planning to hold a fundraising event that has a raffle as it's main focus, there are a number of legal issues that you must adhere to in order for the event to fall in line with fundraising laws. Holding a raffle can be a fun and easy way to raise money for a good cause. Many people decide to hold a raffle as it's easy to buy books of tickets and sell them in groups. Most people will support raffles as it doesn't require much from them and it's often a fun way to try and win a prize. There are a few legal issues with raffles however and one in particular means that you are not able to offer a cash prize as part of a raffle. Raffle's are considered to be a 'small lottery' in the eyes of the law. This means that you are only able to offer no more than 250GBP for prizes and you can't award cash prizes. 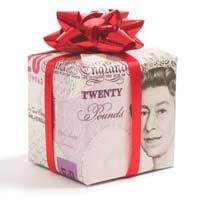 You can award donated gifts up to the value of 250GBP, but under no circumstances can you give cash back. Another important point to consider with raffles is that there is no limit on the price of a ticket, but you must ensure that you're selling the tickets only within the time and place of the raffle. Generally most people will sell a strip of tickets for a certain price and draw the raffle there, when everyone is present. Larger organised events require a licence from your local authority and the type of event you're discussing seems to fall under this as you'd like to pre-sell tickets and offer cash as a prize. You should speak to your local authority about this. Even within these exempt groups there are relevant rules and regulations that must be followed. If you're still unsure, consider contacting the Institute of Fundraising on 020 7840 1000. Local dart team run a raffle each week and usually takes around £50, but only pays out £10. Is this legal? Or is there a minimum amount they should give back? Seems unfair that they grab 80% of the spoils. I want to raffle my football memorabilia online,to finance home improvements, can, how and where can I do this? You would be better using an online auction rather than trying to raffle these. Is selling raffle tickets in strips legal, because this making the customer believe they are buying 5 when in fact they are only buying 1. Also this method is not cost effective as the organizers have to buy 5 books instead of 1. I attend a ballroom dancing social once a month (not a club) we pay admission at the door and also take itemsfor a raffle for which the organisers charge £1 a strip of tickets and from what I can see the proceeds go in the pocket of the two guys who organise the dancing, and all they do is put on CDsis this legal? your social club is running a raffle were you put in your name badge and one is drawn out for a cash prize is this legal ? I can remember (many years ago) being part of a local 100 club (I think that was the name). Each week everyone in the group put £1 (or maybe it was 10 bob - it was that long ago) into the club and at the end of the month there was a draw I think there were 10 'prizes' with the balance left each month banked towards a Christmas Party at the end of the year for members and guests. Is this legal in this day and age? Could a local fundraising group use a similar pattern with excess money going into the fund. Only the members paid in and only the members could win in the draw. I am thinking of setting up a business on-line selling tickets to win items of medium to high value (£200 - £20,000), part of the proffits will be given to charity and part for personal/business gain. Can you tell me if firstly this is legal? secondly is the prize value subject to tax? third do i need a licence to operate a business like this? We have a cash raffle at our local club and take in eighty pounds.Can you tell us the percentage we have to pay out for example £30 was paid out to winner and £50 went to the club.Is there a law about percentage pay outs. @BigDaddy - you may require a licence to hold a raffle whether it's on the internet or not. You need to contact your local authority to obtain a licence.